Jennifer Castello is a bay area native and a Licensed Clinical Social Worker who has been working in the mental health and educational fields for over 15 years in various contexts with children, youth, and families, including schools, communities, treatment facilities, family homes, group homes, foster homes, homeless shelters, and within the special education, child welfare, juvenile justice, and psychiatric care systems. She also has extensive trauma and crisis work experience. Having spent the majority of her career in the Oakland and Richmond communities and with the past 3 years being spent in schools in the Tri-Valley area, she is very excited to be returning to Oakland and specifically to the Fruitvale community, where she worked for 6 years previously in a community based mental health clinic. Her experiences within diverse schools, homes, and communities, along with her international volunteer work she has done in Mexico and India, has strengthened her ability to provide culturally sensitive treatment and services and build supportive and trusting relationships with the youth and families she serves. With each experience, her commitment and passion to education, social and racial justice, trauma informed care, and the importance of the emotional, mental, and physical health and well-being of all youth and building on their strengths and potential is strengthened. 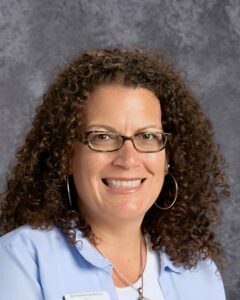 Ms. Castello received a Bachelor’s Degree in Sociology with minors in Spanish and English from the University of San Diego and a Masters of Social Work from San Diego State University with specialty in children, youth, and families and School Social Work. Having attended, and appreciated, Catholic schools the majority of her education, she is excited to be returning to the Catholic School environment.